It doesn't seem like 2 minutes ago that I was writing my guide to Easter Half term and now May/June half term is almost upon us. There's lots going on in our region including free fun, outdoor fun and should it rain (which let's be honest it probably will), indoor fun too. Let me know what you're up to. 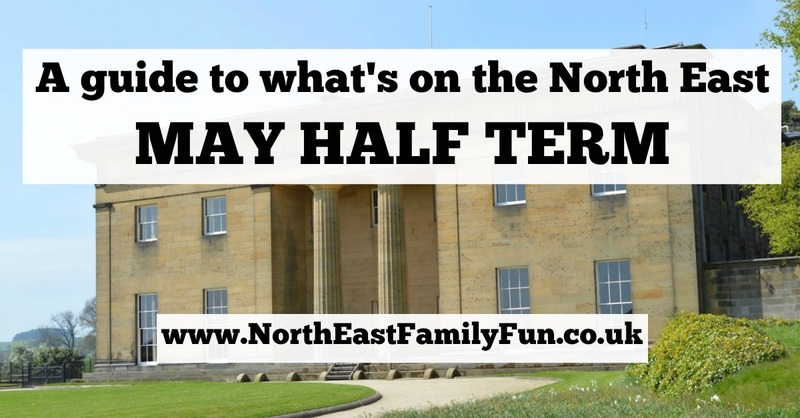 Don't forget to join our North East Days Out Facebook group for more ideas and recommendations and keep and eye on North East Family Fun's Facebook page throught half term as I'll be sharing ideas for the following day every evening at around 8pm. 25th May - ongoing. FREE FUN - The new Shiver Me Timbers Pirate Exhibition opens at The Word. Find out more here. 25th and 26th May - FREE FUN - The Ned Corvan Shadow Troupe will be performing at The Word in South Shields. Find out more here. 27th May - 4th June. 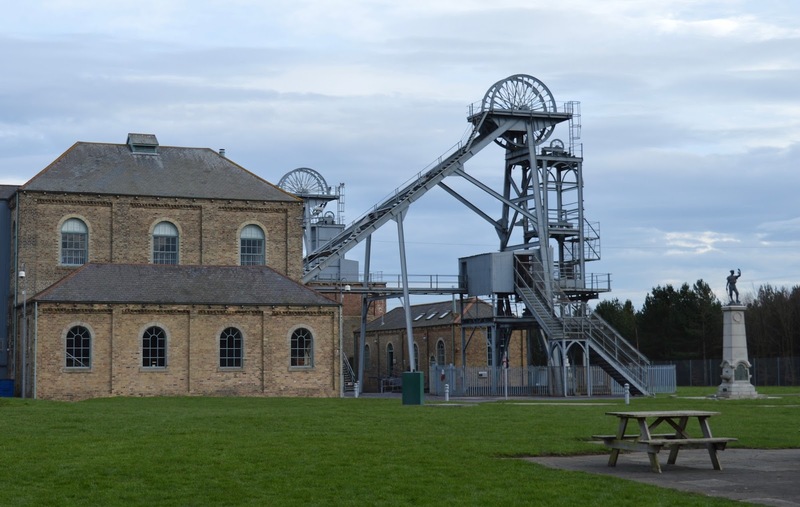 Create and hatch your own dino eggs at Woodhorn to celebrate the end of their Dino-Bricks exhibition. Car parking charges apply, free event but donations are welcome. More details here. 27th May - Spooktacular Fun at Newcastle Castle - Take part in the special children's trail and you might bump into Dracula or one of his friends. There will be a chance to chat with the castle's resident medieval surgeon, enjoy Vampire-themed crafts and there is a special reading at 2pm by author R.A. Browell. Find out more here. 27th May-January 2018 - NEW Dino Jaws exhibition at Life. A new dino-tastic exhibition brought to you by the Natural History Museum opens at Life this May half term. Expect life size dinosaur heads and lots of fun facts. Find out more here. 30th May - FREE FUN - Meet Paddington at Manor Walks, Cramlington. Paddington Bear will be making an appearance at various intervals throughout the day. Free tickets can be pre-booked and there will be limited availability on the day. More details here. 30th May - 1st June - FREE FUN - Half term fun at intu Eldon Square includes a robot repair station, robot cookies and cupcakes and robot racing and face painting. Daily from 11am - 4pm. More details here. 29th May - Dressed to Kill at Sagedenum Roman Fort (includes a relaxed session). Join the Roman Cavalry! Find out more here. 30th May - Relaxed Pirate Crafts for children with disabilities at South Shields Museum. From 10am, tickets should be pre-booked (£2 per child). Book tickets online here. 30th May - Pirate Treasures at South Shields Museum. Drop in event where you can create your own pirate treasure, necklaces and paper parrots. Find out more here. 30th May & 1st June - FREE FUN - Discovery days at Discovery museum. There will be FREE and chargeable crafts available with a nautical theme. More details here. 31st May - Tall Tales at Laing Art Gallery. Drop into this special event with storytelling fun and the chance to spin your own tales. £3 per child. Find out more here. 31st May - Captain Raggy Beard will be visiting The Word in South Shields with his tales of Pirates, treasure and mermaids. £3.50 per person. Book tickets here. 1st June - Etch and Engrave art at Shipley Art Gallery. £2.50 per child. Drop-in event. Find out more here. 2nd June - Family Makes at Shipley Art Gallery. For £15, an adult and a child can create their own piece of art using glass. Tickets should be pre-booked here. 3rd June - Chalk present Breakfast Beach Party at Gosforth Civic Theatre. Enjoy summer floor fillers, create your own surfboard or ice cream headwear. Tickets are from £5 and available here. 3rd June - Chalkbox : The Original Superheroes at Gosforth Civic Theatre. Dive into some top telly featuring HeMan, Thundercats, Superted, Bananaman and more. There'll also be crafting and plenty of superhero moves. Tickets are £4 per person and available here. 26th - 29th May - FREE FUN - Durham Hot Air Balloon Festival. Find out more here. 27th May - 4th June - School of Adventure at Preston Park. Learn skills such as climbing, knots, den building, sewing, papercraft more and earn badges throughout the day. Free with museum admission. Find out more here. 27th May - 4th June - Downy Duckling Days at WWT Washington. Meet the latest fluffy arrivals at WWT Washington and take part in special pond dipping activities. Find out more here. 27th May - Kirkley Hall Zoo's 6th birthday party. There will be face painters, games and treasure hunts on top of the usual animals and activities on offer. Find out more here. 28th & 29th May - Welly Walk and Lunch at Wynyard Hall. Take part in a welly walk through Wynyard's stunning parkland before enjoying lunch in the Wellington restaurant. Find out more and book here. 28th May - Northumberland Day at Alnwick Garden with crafts, street theatre and more. Find out more here. 28th May - FREE FUN - Family fun and bandstand music at Northumberland Park. Expect live music, face painting, stalls, story time and more. Find out more here. 28th - 31st May - Fairy Tale Week at Crook Hall & Gardens. Families are invited to meet various fairytale characters as they step out of stories. There will be a treasure trail and the chance to meet various characters. Find out more here. 30th May - FREE FUN - Springtime stories with professional storyteller and musician from 11am - 3pm at Richardson Dees Park, Wallsend. Find out more here. 31st May - Den building at Rising Sun. £3 per child (aged 5+). Find out more and book here. 1st June - FREE FUN - Crafty Romans at Arbeia Roman Fort. Make your own dragon head kite to charge around the fort. Relaxed session also available. Find out more here. 3rd June - All the Fun of the Fair Launch at Discovery Museum. There will be children's fairground rides on the plaza outside of the museum (payable with old fashioned pennies available to purchase on the day), crafts plus free balloons and stickers as well as the new vintage funfair exhibition indoors. More details here. 3rd June - FREE FUN - Alan Robson's Roadshow will be heading to Ocean Beach South Shields with lots of music, games and prizes with Metro Radio's Cash 4 Kids. More details here. 3rd June - Annual Summer Dog Oscars at Churchill Playing Fields. FREE for spectators, £1.50 per dog category entered. Find out more here. 3rd June - Wizard of Oz Children's Party at Kirkley Hall. £10 per child including one free adult. There will be songs, dancing, activities and storytelling. Find out more and book here. 3rd June - Teddy Bear's Picnic at Wynyard Hall. There will be fun entertainers and face painters in this fun-filled event. Tickets are £8 per child. Find out more and book here. 27th - 29th May - Belsay at 200. 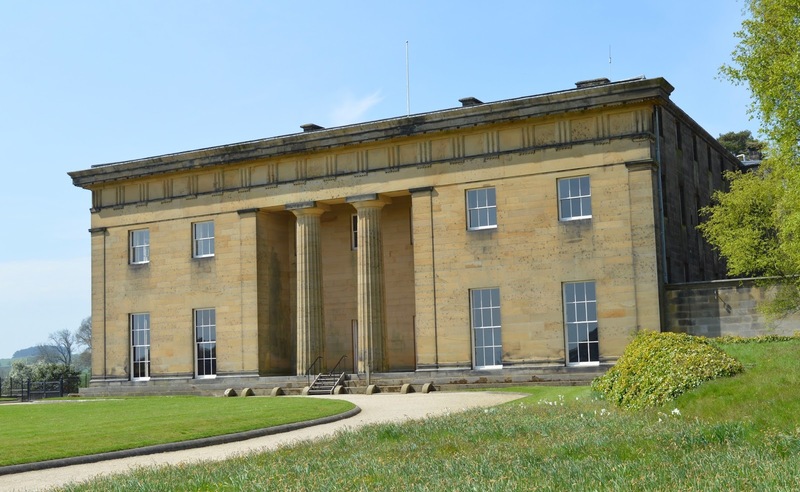 Join Belsay Hall and celebrate their 200th birthday with fashion, music and characters from Belsay's past. Tickets from £1.10 - £10.40 available here. Have a fabulous May Half Term :-) Do you follow us on Twitter? If not, search for @nefamilyfun to follow what we're up to. Please remember that this post is written in advance and events/timings/costs can change. Always double check details yourself before heading out. Fantastic post. What brilliant ideas. As usual, a sterling guide. Will share! Your part of the country is so lovely at this time of year. So much on! Oh my goodness - so much to do! I really want to visit Bamburgh Castle, and properly explore Alnwick Gardens. Wow what an epic post, no excuses for boredom in the north east that's for sure! 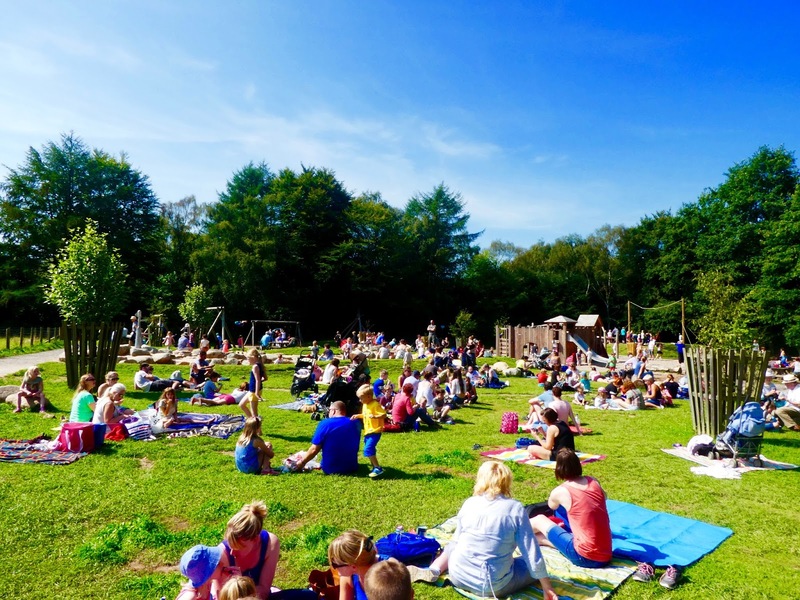 FAbulous thank you so much for the fab links - just written a few things in our diary for half term and the kids are looking forward to both the Gibside and Dalton Park!